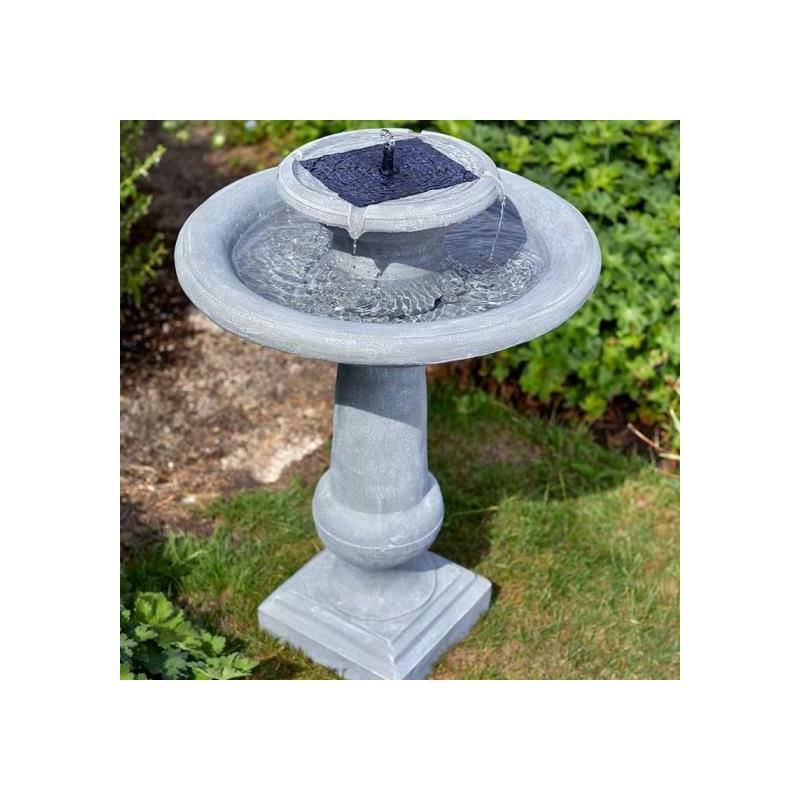 Attract some feathered friends to your garden and outdoors with this lovely fountain. Embodying classical style, it's made from high-quality resin with a realistic stone finish. It recycles water from a hidden reservoir. It features an integrated solar panel and creates a relaxing atmosphere in your garden, patio or balcony.